Europe Day, in EU member states also known as Schuman Day is an annual celebration of peace and unity in Europe. Council of Europe (CoE) member states celebrate it on 5 May (since 1964) to reflect the establishment of CoE in 1949, while EU has its separate day on 9 May- formally recognized as the holiday by European Parliament in October 2008- to commemorate Schuman Declaration of 9 may 1950. 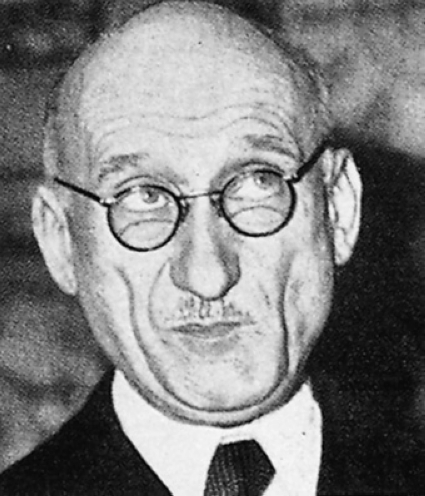 What we know now as a Schuman Declaration is French Foreign Minister Robert Schuman’s proposal of pooling French and West German coal and steel industries. It was supposed to help maintain peaceful cooperation and development of European Countries. It is a common knowledge that European Coal and Steel Community was the very beginning of the EU, thus the Declaration is considered to be the act that created the EU. Celebrating such an important anniversary in EU member states is obvious, however it is worth to note that Europe Day is also a very special day in EU candidate countries such as Turkey. What is more, Ukraine celebrates Europe Day on the third Saturday of May, since 2003. What is the Europe Day for? Political nature of the day is indisputable. That is why it may be a reason for teaching people about, not only the history, but also about the importance of the EU. Also, it is a great opportunity to speak in support of European integration. Each year’s Europe Day has a different theme. This year, the topic was Growing Stronger Together. 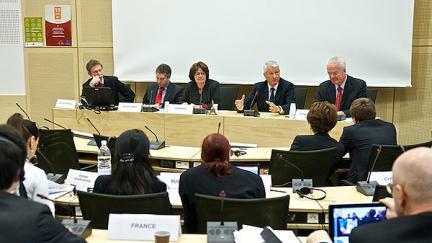 The main idea was to promote solidarity between member states and EU’s citizens. 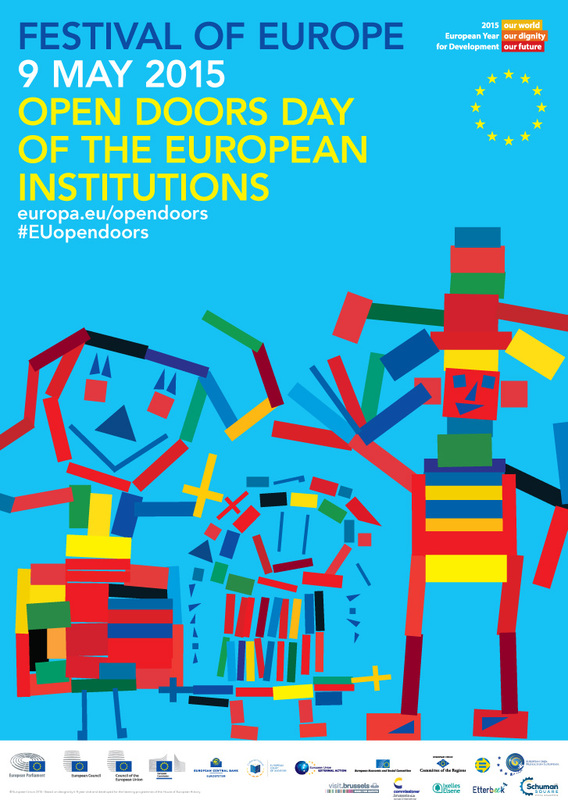 Within the scope of 2015’ motto the EU institutions opened their doors to the public in Strasburg on 2nd May and on 9th May in Brussels and Luxemburg. Local EU offices in Europe (all over the world too!) organized a variety of events in cooperation with European Commission and European Parliament. For example in Warsaw, the capital of Poland, the Schuman Parade and Schuman City or European City are arranged annually on 9th May, however in 2015 it was also possible to visit European Parliament Information Office and buildings of Polish Parliament. Celebrating Schuman Day in Poland will last till 12th May and will end during the Museums’ Night. 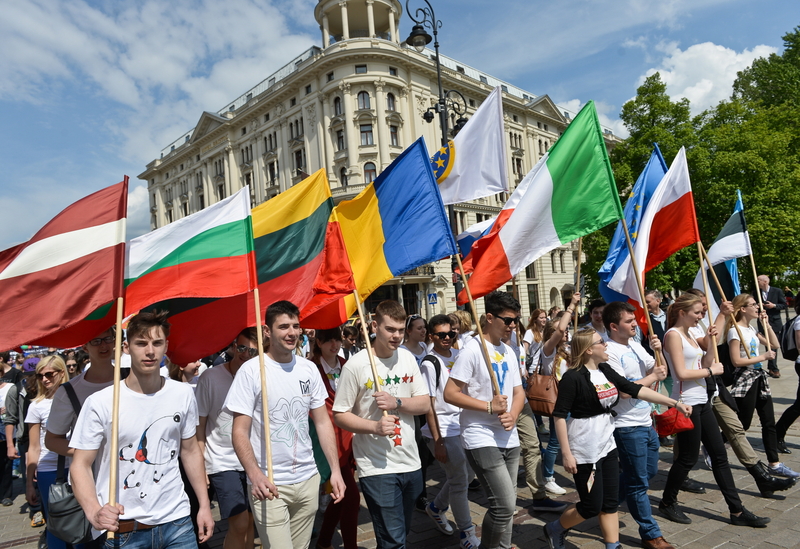 Countries which are member states of CoE, but not of the EU, celebrates Europe Day little bit earlier (5th May) and it is said that date is rather connected with a promotion of human rights, while Schuman Day (9th May) is an element of EU’ image. Europe Day together with EU flag are now commonly known symbols of the EU. It seems like May is an appropriate month for international celebration of peace, if we take into consideration the fact that 8th May is a Victory Day marking the capitulation of Nazi Germany and the end of World War II in Europe in 1945. Someone may say that any reason is good enough to celebrate. With no doubt, the anniversary of the beginning of the EU should be recognized as a holiday. Isn’t over half century of peaceful development in Europe a perfect cause to incredible happiness? It was believed that after entering into force of the Lisbon Treaty the accession of the EU to the Convention for the Protection of Human Rights and Fundamental Freedoms (hereinafter: the Convention) will be obvious. 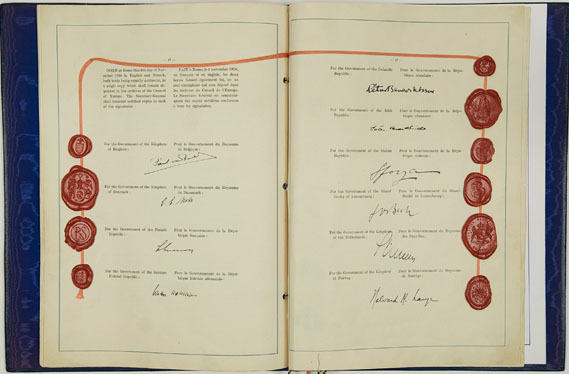 The Lisbon Treaty made accession admissible thanks to granting legal capacity to the EU. What is more, it even imposed obligation on EU to become party to the Convention. Negotiations, which have been conducted since 2010 by the European Commission and the Steering Committee for Human Rights Ad Hoc Negotiation Group, resulted in adoption of the draft agreement on accession. This document was examined by the European Court of Justice (hereinafter: ECJ) and its opinion about compliance with the Treaties, released on 18 December 2014 (C-2/13), is significantly negative. ECJ said that ‘the devil is, however, as so often, in the detail’ and pointed out legal issues which have to be solved in order to access to the Convention. Some of these problems are presented below. After the accession, the Convention will become part of EU law. It means that the EU, namely all of its institutions as well as Member States, will be bound by provisions of the Convention. Therefore, actions of institutions could be controlled according to measures contained in the Convention. In other words, they would be under jurisdiction of the European Court of Human Rights (hereinafter: ECHR). In this light arises serious question concerning relation between ECJ and ECHR. Accession to the Convention will allow ECHR to assess judicial actions of ECJ or to impose interpretation of the law. Firstly, it is worth emphasizing that judicial independence is the most important feature of courts and tribunals. Secondly, as art. 2 of Protocol no 8 reads, ‘accession of the Union shall not affect the competences of the Union or the powers of its institutions’. ECJ as one of the EU institutions has its specific competences. Above all, ECJ has exclusive jurisdiction in disputes between Member States or Member States and institutions, related with interpretation or application of the Treaties. Hence ECJ stated, that possible jurisdiction of ECHR in mentioned matters should be distinctly excluded. Otherwise there is evident incompliance with EU law. The Convention and Charter of Fundamental Rights contain a catalogue of rights and freedoms. Despite the similarities between these catalogues, there are still certain differences which occur in provisions, as well as in interpretations given by ECJ and ECHR. Problem of coordination those two legal acts has significant meaning from the perspective of the level of human rights protection. It is necessary to avoid existing two different standards, because it could violate principle of primacy of the EU law. Because the Convention allows states to introduce higher standards than it presents itself it may lead to establishment of larger scope of protection than it is provided by Charter of Fundamental Rights. As a result, there would be a risk that Charter of Fundamental Rights would be ineffective, which would mean undermining the principle of the primacy of the EU law. According to ECJ opinion, agreement on accession shall include provisions which would prevent indicated situation. Problems with autonomy and primacy may occur after entering into force of Protocol no 16 to the Convention. This protocol introduces new function in ECHR system – advisory opinions, which may be given by ECHR at the request of highest courts and tribunals of state parties to the Convention. Generally speaking, advisory opinions may be compared to preliminary ruling given by ECJ, however they are not binding to national courts. Advisory opinions may infringe the autonomy of the procedure of request for preliminary ruling – use of the first solution may lead to resignation from the second one and, as a result, may constitute circumvention of the law. ECJ expressed in its opinion the concern about relation between those two procedures. It is on position that agreement on accession should clearly eliminate uncertainties in the application of those mechanisms. Under provisions of draft agreement on accession, ECHR would be allowed to examine legal acts released in association with the Common Foreign and Security Policy (hereinafter: CFSP). Certainly, this examination would be conducted in the light of respecting fundamental rights. Since ECJ has no jurisdiction in certain matters related with CFSP, which results from EU law, after the accession to the Convention this jurisdiction will be granted to ECHR. ECJ emphasized that organ, which is not institution of EU, will be able to decide whether acts adopted in CFSP are in compliance with fundamental rights. In addition, it demonstrates that agreement does not follow the most important condition of accession, namely preserving the specific characteristics of the Union and Union law. 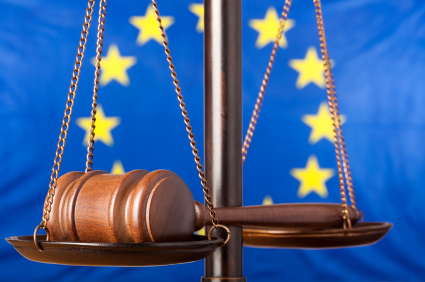 ECJ’s position – rationality or excessive precaution? Undoubtedly we are witnesses of unprecedented event – as ECJ stated in opinion – ‘in which an international, supranational organisation — the EU — submits to the control of another international organisation — the Council of Europe — as regards compliance with basic standards of fundamental rights.’ Uniqueness lies in the fact that the EU is not a state but is pursuing to become the party to the Convention which is intended and formulated for states. Therefore there are various issues how to adjust legal mechanisms, suitable for states, for supranational organization. Opinion released by ECJ is very cautious. In certain aspects – too wary, for instance as regards of Protocol no 16. Draft agreement of accession does not contain provision concerning including this protocol in EU legal system – it would be possible in the future. Furthermore, Protocol no 16 has not even entered into force yet. However, general concern of ECJ about preserving features of the EU and its law is understandable. It is true that draft agreement on accession does not deal with all problems mentioned by ECJ. It seems that negative position of ECJ is intended to avoid confusion and uncertainty, which may occur after accession, if indicated issues will not be explained satisfactorily earlier. Problems with accession to the Convention, in the light of resistance against accession and duplication of similar systems of human rights protection, may provoke bold question – whether do we really need EU’s accession to the Convention? Protocol No 8 Relating To Article 6(2) Of The Treaty On European Union On The Accession Of The Union To The European Convention On The Protection Of Human Rights And Fundamental Freedoms.